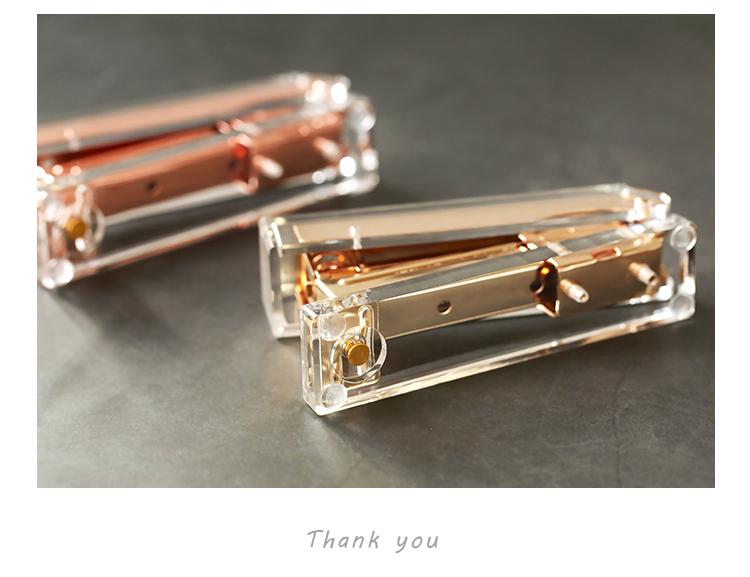 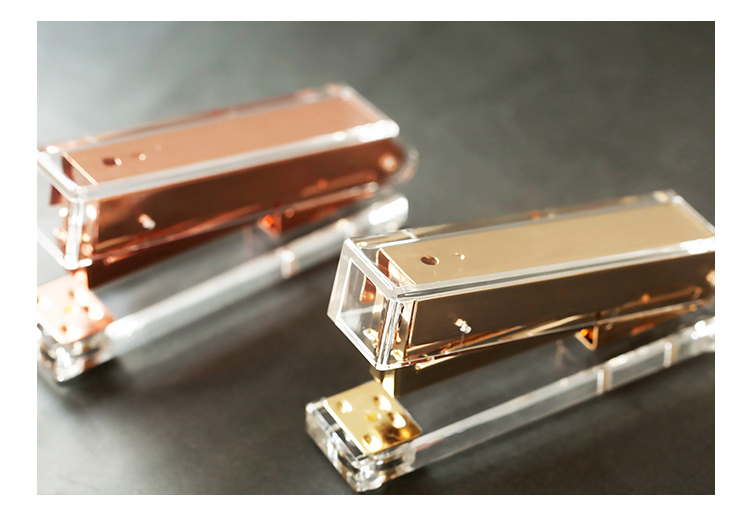 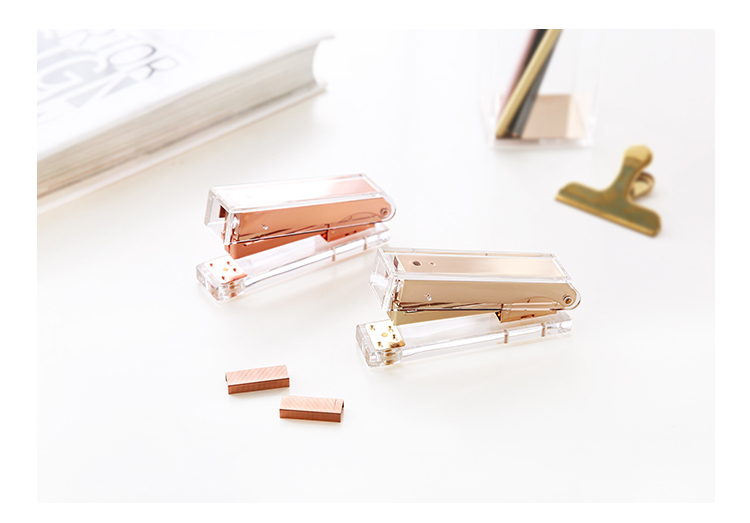 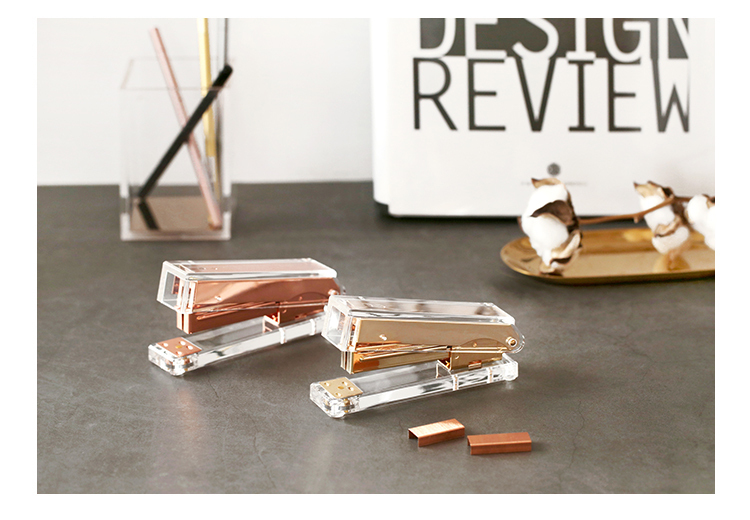 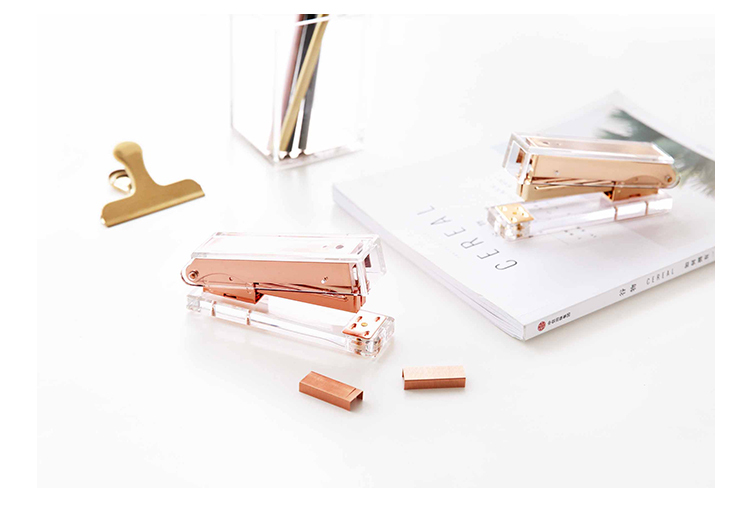 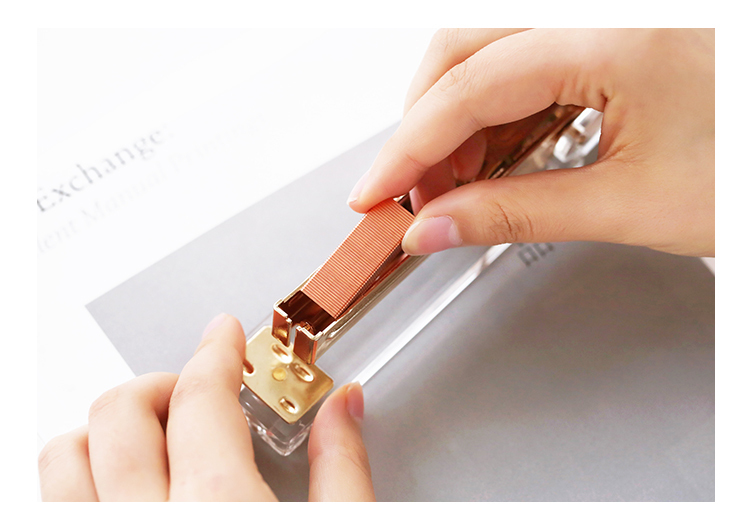 Set some clear goals in your office space with this transparent Acrylic Rose Gold Stapler. 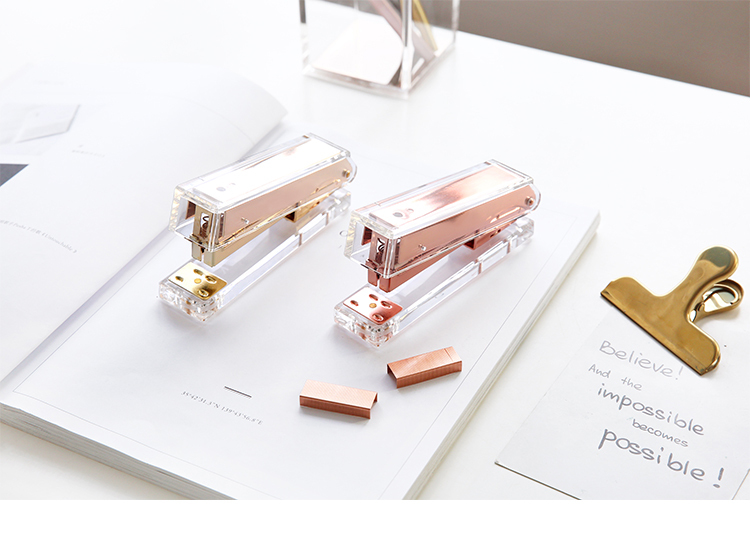 This gorgeous clear stapler features gold hardware that is truly appealing and can make every work space look sophisticated. 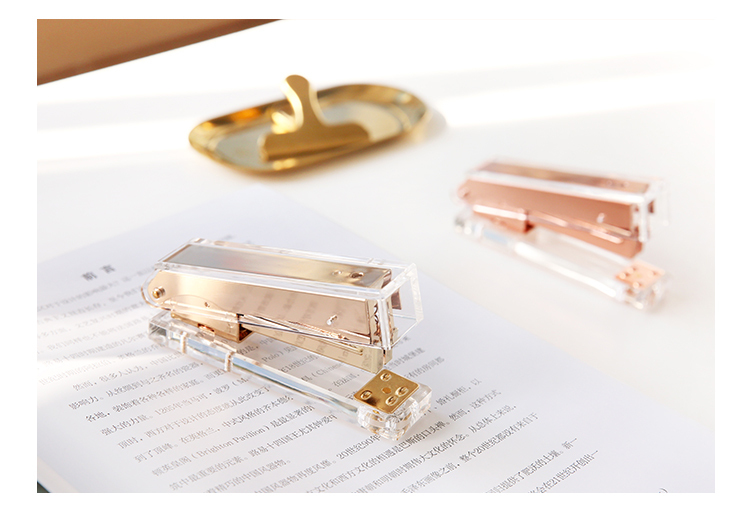 This includes 1000 rose gold staples so you can have that elegantly stapled papers.